As I have said, the iPhone brings out the creativity in individuals in ways that are unmatched by any other personal gadget. It has become the screen of choice. I have been playing with the iPhone app Brushes which let’s you create compelling artwork. 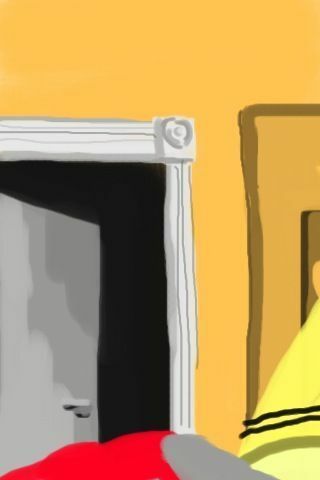 David Hockney recently featured in the NYTimes now does much of his art on the iPhone. Several New Yorker covers have been created on iPhone by Jorge Columbo (link). My latest piece was done in bed while watching the Yankees lose to the Angels. It’s my view to the right. More to come, but this device does not cease to amaze me and a tablet device will become de rigeur among creative people. It’s a shame we don’t live closer–I can just see you and Chong watching the game together, stretched out in the living room and playing with your iPhones, never even saying a word to each other.